Free To Use Sounds are at it again with another generous contribution of 23 sounds. The great thing about their content is that you never know what you’re going to get. From restaurants one minute to hydrophone and contact recordings the next, their recordings definitely cover the full length and breadth of what’s available. Free to Use Sounds are known for their recordings of sound effects from all around the world, so it’s no surprise that this contribution features two sounds from an exotic location – the Caribbean. Firstly, There’s this useful motorboat sound that was recorded there. Then there’s this really nice little recording of the Caribbean ocean, which has a very nice stereo spread and makes me feel like I’m really there. The only trouble is that the seagull seems to be diving right for my picnic. All good things must come to an end including luxury holidays, but when you find yourself driven back to domestic drudgery, at least you’ll have this quality recording of a watched pot to keep you company and after having proved that a watched, or at least a recorded pot really does boil, you can send yourself off to sleep with this recording of a bedroom room tone complete with fan to keep you cool. The rest of this collection is given over to assorted military aircraft, not an easy or accessible subject to record for many field recordists but one that is highly sought after. We not only have multiple types of aircraft, but also multiple perspectives. I particularly like this recording of a fighter jet in the far distance. This batch features an F-15 or 16, a Lockheed C-130 Hercules, a Fokker 50 and a Eurocopter. There are also recordings of multiple aircraft. 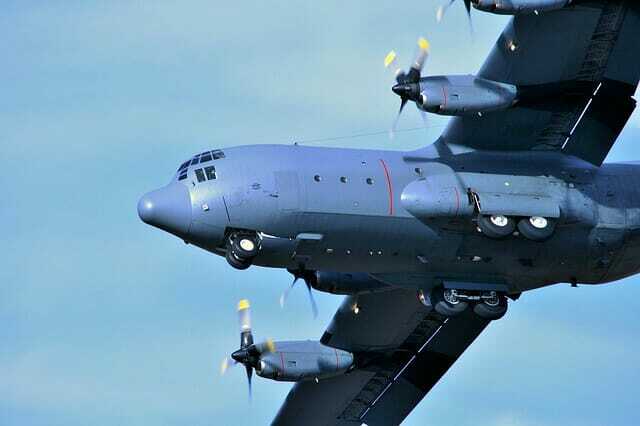 Here we have a Hercules followed by an F-15 or F-16. If you’d like to share how you hear the world with the rest of the audio community and get a bunch of other benefits while doing so to boot, get in touch to become one of our contributors.